From Saturday July 21st to Sunday 29th, &SHOP AOYAMA will be hosting the exhibition of Tamako Yoshii, the felt cat artist. Works in the exhibit will be available for sale. 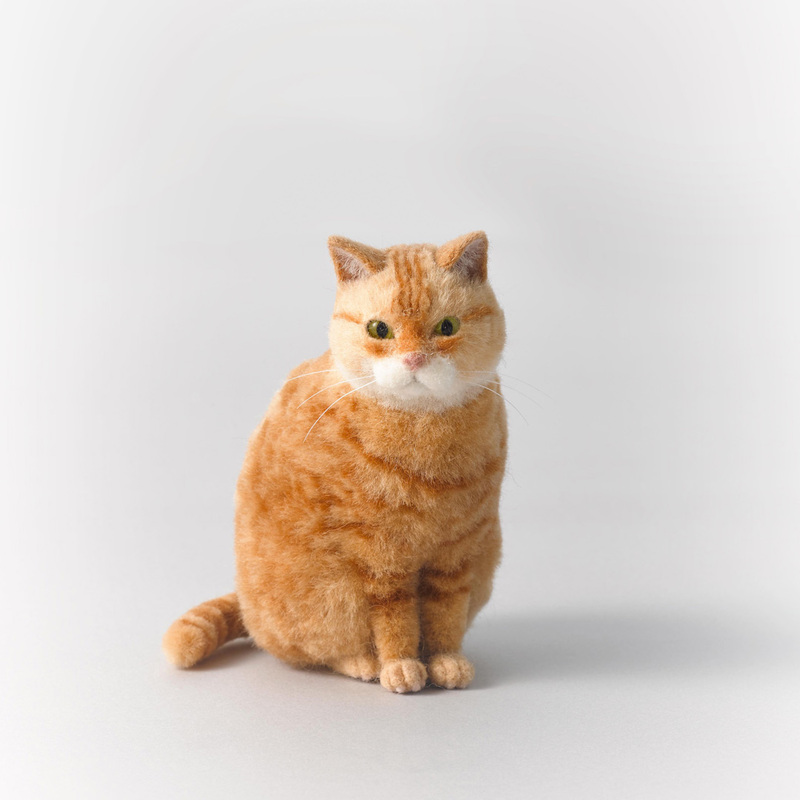 “Small cats” made by Yoshii are palm-sized felines featuring humorous movements and expressions which only a true cat lover can capture and depict. Yoshii’s works which will be presented at &SHOP AOYAMA are made with great care using the technique of “hair grafting”. Here, wool is put into small bundles to slowly cover the entire piece. The smaller the piece, the more difficult it becomes to recreate its lifelike expression and shape. Yoshii takes time and effort to bring each piece to completion. Respecting the artist’s pursuit towards its perfection, the collection which consists of 10 new works has been waiting for this opportunity. With their soft coats and one-of-a-kind glass eyes that seem to glimmer with different angles, these adorable cats look as if they are ready to spring into action. ※ The artist will be around on Saturday, July 21st. ※ The purchase of Yoshii’s works will be upon lottery. If you are interested in its purchase, please fill in the lottery form which will be available at &SHOP from 12pm Saturday July 21st (the result will be available on July 30th). ※ For more information about the lottery, please refer to the instructions below. 2018.7.21 SAT. ー 7.29 SUN. ・The customer’s application to the lottery will be limited to one work. ・Once the application is completed, the customer will not be able to make any modifications. ・Only the elected winner will receive a notice via telephone. If we cannot reach the winner by 20pm Wednesday August 1st, we will hold another lottery to elect a new winner. ・The work will be handed to the winner after the exhibition ・The winner shall not cancel its purchase. ・All personal information given to us will be used solely for this event. Tamako Yoshii / As the creator of , Yoshii has been making wool cats using needle felt techniques and one-of-a-kind glass eyes since 2012. She works in various fields mainly taking part in events, solo shows, group exhibitions to advertisements for websites and movies. From 2018, she has been presenting her works under her own name. Yoshii lives in Tokyo with three cats.